By using our online Vietnam visa service, you will be required to pay 2 fees in total to obtain your visa. 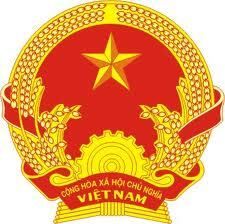 This includes the initial service fee and the stamping fee which is paid upon arrival in Vietnam. The total cost of these fees is low. This is the fee you pay to Vietnam Visa Site once you have submitted your application. This fee will vary depending upon your nationality, type of visa, processing time, and the number of applicants in your group. The average cost for a single entry visiting visa is usually US$15 for a month’s duration. When applying for visas as a group, the cost for each individual person will go down. Check our visa service fee. This is the fee you will pay once you arrive in Vietnam, either at the immigration desk in one of the Vietnam international airports or at the embassy/consulate. As well as your approval letter, you will be required to present a passport (valid for at least 6 months with 2 blank pages) and 2 passport photos (4x6cm). Accepted currencies are Vietnam Dong and US dollars paid in cash; Russian travellers are exempt. This finalises the validation process and you are now free to explore Vietnam. • Urgent fees: If you need visa approval letter urgently, you can select at "Processing time" field. • Confidential Letter: If you do not want to share visa approval letter with strangers you can select this box. You will get private letter that shows only your name/name of people in your group. • Fast Track: This service help you to skip the queue and get visa quicker than others. • Premium Package: This package includes stamping fee so you do not have to do anything after applying in our website. Just give your passport, photos to our person at airport and get back with visa stamped inside. Furthermore s/he then also helps you to get your luggage quickly. For visa stamped at Vietnam Embassy/Consulate, it depends on the Embassy/Consulate you get stamped, the fee can range from about $45 to $95 as the Embassy/Consulate rarely disclose the fee.